Baseball meets once a week for an hour. The kids will learn all the skills needed to play baseball. These include throwing, fielding, batting, and base running. The children will be put in different situations while fielding to understand the game of baseball. Batting cages will be used certain weeks to bring realism to the class and make them feel like real major leaguers hitting in the cage. Baseball gloves required! Sneakers, no cleats! Water bottle recommended. The children will learn all the skills needed to play the game of basketball. The skills include dribbling, shooting, passing, offense/defense, rebounding, boxing out, and court awareness. The skills will be applied to fun basketball games. Sportsmanship and teamwork are reinforced throughout the session. This class meets once a week for an hour. Sneakers required, water bottle recommended. ​Cheerleading is an energetic class geared towards spirited girls ages 5 and up. They will learn stunts, jumps, chants and cheers to give your child a healthy first step towards an active lifestyle. And at the same time they learn teamwork, trust and cooperation. Working with their peers, their skills and confidence grow. 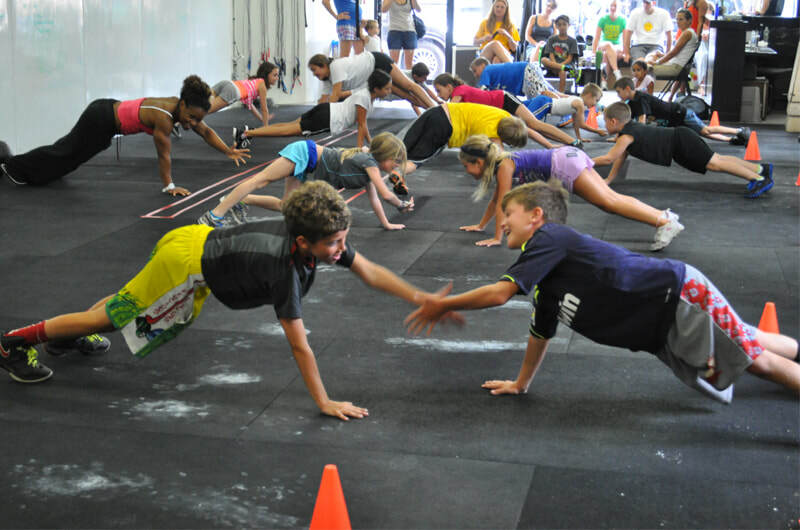 Stunts and movement teach coordination and balance, while the team environment helps build trust among the class. Introduces exercises that develop general strength. Emphasize on developing the core sections of the body as well as muscles at the extremities. Most exercises involve body weight and light equipment, such as medicine balls or light dumbbells. In this class, junior athletes will develop a solid endurance base through aerobic training and begin introduction of moderate anaerobic training at latter part of stage. ​Football meets once a week for an hour. The kids will learn all the skills needed to play flag football. The skills include quarterbacking, ball handling, receiving, offense/defense strategies, kicking and punting. The skills will be applied to fun and safe flag football games. Sneakers, no cleats! Water bottle recommended. Lacrosse meets once a week for an hour. The Kids will learn the basic skills needed to play the sport of lacrosse. The skills include scooping, stick handling, cradling, scoring, passing, and offense/defense. the skills will be applied to fun, age appropriate games. The only equipment required is a lacrosse stick. Sneakers, no cleats! Water bottle recommended. The Multi Sport program consists of 5 sports. The sports include soccer, football, basketball, hockey, and baseball. All multi sport classes meet once a week for an hour, excluding the 2 year old program which is 45 mins.. The sport of the week changes every two weeks. All the skills of each sport will be learned in a fun, non competitive atmosphere. All skills for each sport will be applied to fun, age appropriate games. Sneakers, no cleats! Water bottle recommended. Girls Volleyball meets once a week for an hour. The girls will learn all the skills needed to play volleyball. The skills include bumping, setting, spiking, and serving. The girls will also learn about court awareness and movement. The skills will be applied to fun games. Sneakers required, knee pads recommended. Yoga Improve strength, flexibility, and coordination. Children will learn yoga postures as well as how to focus and center themselves with various breathing and visualization techniques in a fun, non-competitive environment.